The Quadro Ice Bucket is the perfect sized bucket for any occasion. 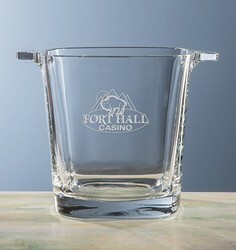 Made of fine quality imported glass and featuring a unique square shape, this item is sure to be a hit. Packaged in an attractive gift box.